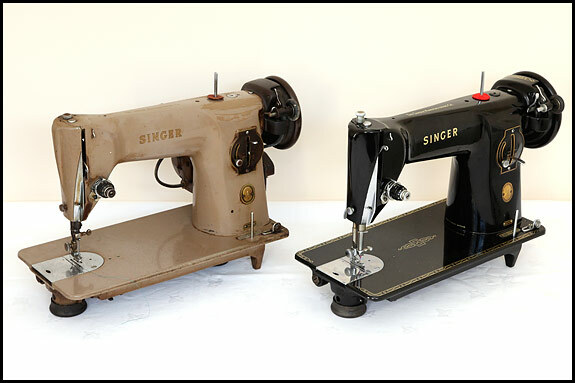 The Singer 201K – which is which? We got a query yesterday from Vicky, who asked what the “23” indicates when somebody describes a machine as a 201K23, so I thought I’d answer that here in case it’ll help anybody else. 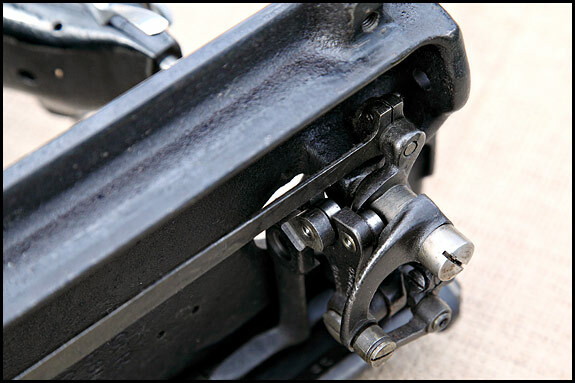 Strictly speaking, the “K” doesn’t form part of the model designation but it tends to replace the hyphen in common usage, so we get “201K4” to describe a Mk1 hand-crank, “201K23” to describe the Mk2 electric that Vicky refers to, and so on. And don’t worry if that does your head in – I still check with my Little Black Book if I need to be certain about any of them! If you’re on the phone to somebody who’s put a for sale ad in the local rag which just says “Old Singer sewing machine for sale” or something equally informative, you obviously need to know a bit more about what exactly it is that they found in the attic when they moved in and now think might be Worth A Few Quid. If you’re lucky, they might have put a picture in the advert. And if you’re really lucky, it might not be a lot worse than this specially-taken rubbish snap. Before we go any further, though, A Word Of Warning. On a very hot and incredibly humid summer afternoon, I once drove for well over two hours through horrendous traffic to buy a Red Head. That’s a rare-in-the-UK Singer with distinctive decals which I think are OTT but Elsie thinks are lovely. I’d talked about it on the phone to the person selling it, and I was fairly sure of its condition. We’d agreed a price. When I got there, I was ushered into the kitchen and shown the machine. It was a clapped out and very ordinary early 66 with the most boring decals Singer ever used, and those in a very poor state. So, getting at last to the point of today’s epistle, I’ve evolved a standard way of extracting the information necessary to identify a machine on the phone, and it seems to work. Believe me though the process can be a bit like pushing jelly uphill with a fork at times, particularly if the advertiser’s getting on a bit and doesn’t hear so well, or their attention is split between me, their sewing machine, the television and what sounds like a shedful of kids running amok. But whatever. 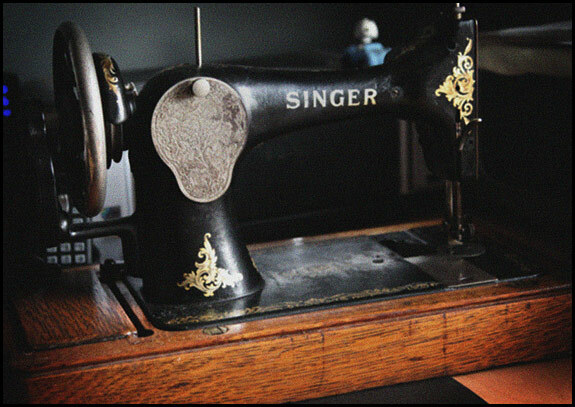 What follows only works for the common domestic Singer machines produced in the UK between around 1900 and the mid-1960’s, and it only enables you to identify the basic type. If you need to know whether the article in question is a 15-88 or a 15-91, for example, this is not going to help you one bit. 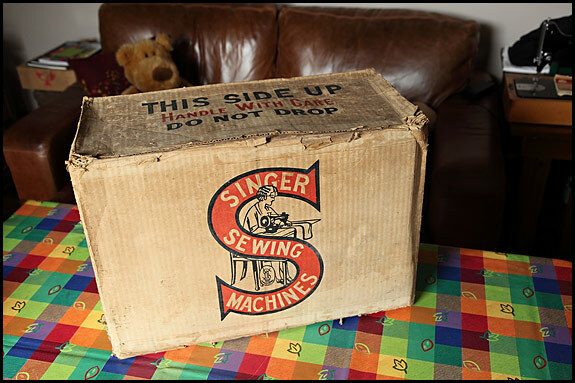 But if you want to know if what they’re selling is a 127 or a 201, or even if you just want to know what Grandmother’s old Singer is, stick with this and with any luck you’ll soon be able to tell. 1. 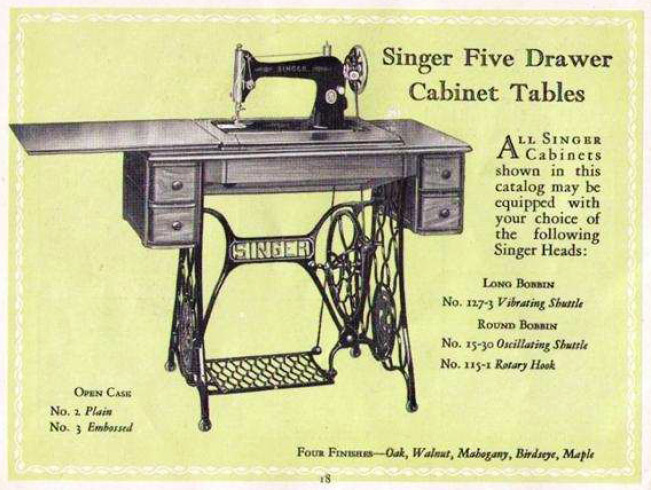 If you look at the vertical column of the machine, just above the bed (the flat metal base), there’s a round-ish metal Singer badge. Is there a small rectangular metal plate with two or three numbers and one letter on it just below that badge? If there is, the number on that plate is the model number and your problem is solved. If there isn’t, read on. 2. If the tension adjustment knob (the one with those discs and the springy thing behind it) is on the metal plate on the very end of the machine and it faces left, the machine is a Model 15. If however the tension adjustment knob is mounted straight onto the black metal of the machine and faces the user, it isn’t a 15 so we need to dig a bit deeper. 3. It will either be an early machine of the “vibrating shuttle” type which takes a long thin bobbin, or a later machine which takes a round bobbin, so look at the left-hand side of the machine bed. 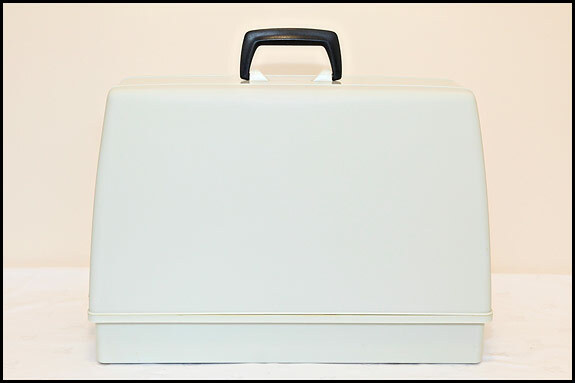 If it has a small round plate under the needle and two rectangular plates which run from front to back and meet up in the middle, it’s a vibrating shuttle machine. 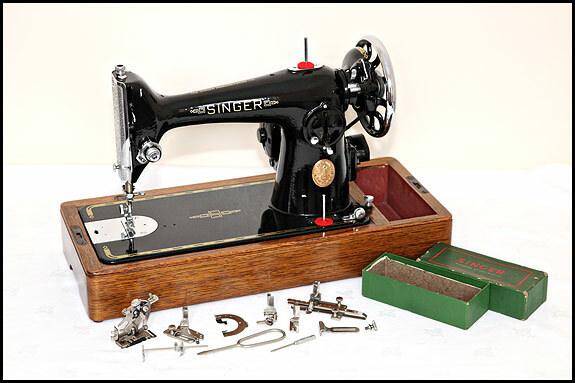 If instead it has a D-shaped plate under where the needle is and a more-or-less square chromed plate at the left-hand end of the bed, it’s a round-bobbin machine. 4. If you’ve established that it’s a vibrating shuttle machine, measure how long the bed is. If it’s getting on for 15 inches, you have either a 27 or a 127. If it’s nearer to 12 inches, you have a 28 or a 128. 5. 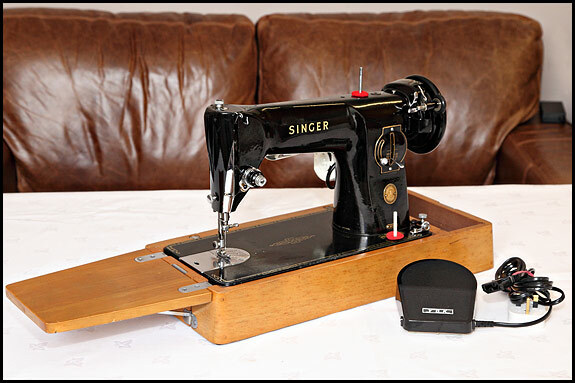 If the bobbin winder thingy on the right is about 2 inches above the bed, it’s either a 27 or a 28. 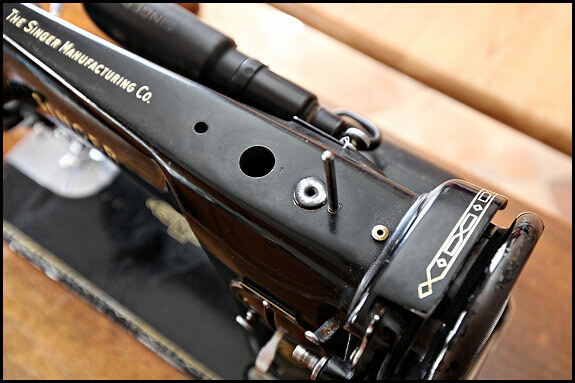 If the bobbin winder’s higher up, roughly in line with the middle of the handwheel, it’s probably a 127 or a 128. 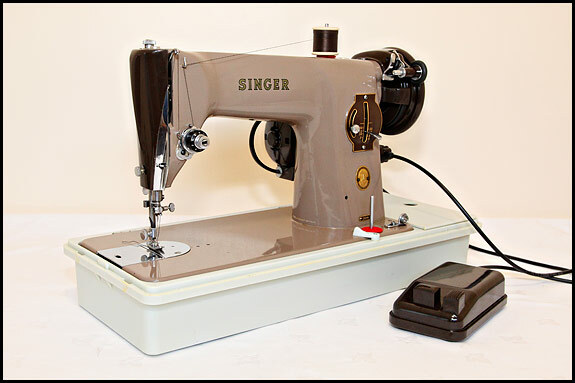 So for example a long bed machine with a low bobbin winder is a 27, and a short bed machine with a high bobbin winder is a 128. OK? 6. That takes care of the vibrating-shuttle machines. 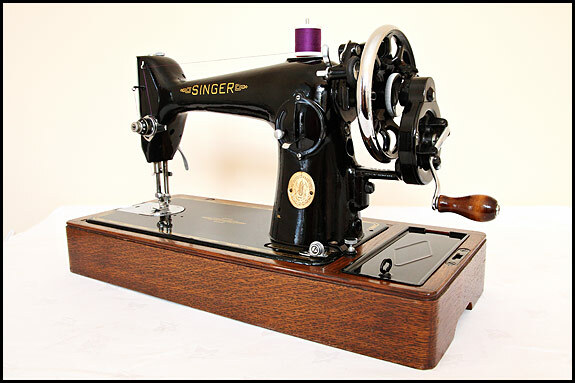 Moving on now to the later round-bobbin machines, if it looks “old fashioned”, it’s all metal, it’s black and it’s not a 15, it’s almost certainly going to be a 66, a 99 or a 201. 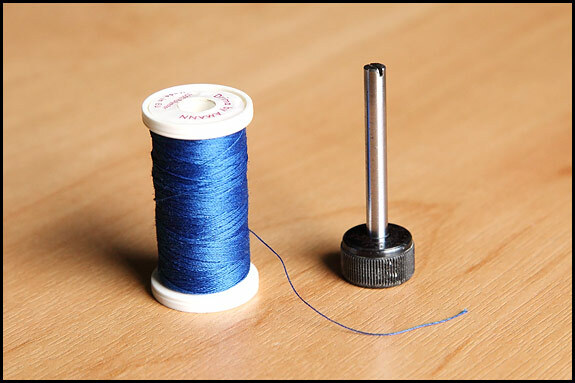 Does the spool pin on top of the machine upon which you plonk your reel of thread go into a chromed steel plate about 2 inches long with rounded ends? If so, it’s a 201. Specifically, it’s what’s referred to as either a 201 Mk1 or an “early type” 201. 7. If the machine is black and there’s no chromed plate under the spool pin, is the bed of the machine about 12 inches long? If so, it’s a 99, which is perhaps the vintage machine most commonly seen nowadays still in reasonable condition. 8. 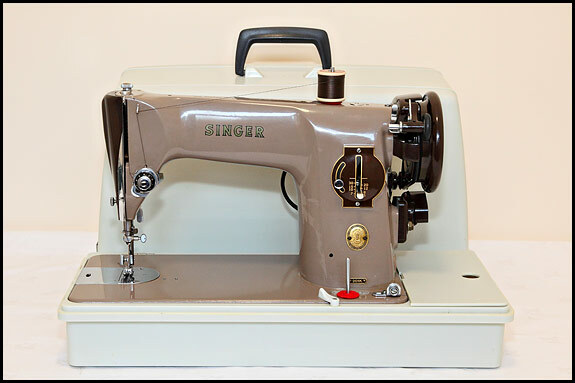 If the bed’s about 12 inches long but the machine is beige/brown and the oval Singer badge is on the same rectangular metal plate as the stitch length adjustment lever, it’s either a 185 which is OK because that’s basically a tarted-up 99, or it’s a later 275/285 which is basically naff. 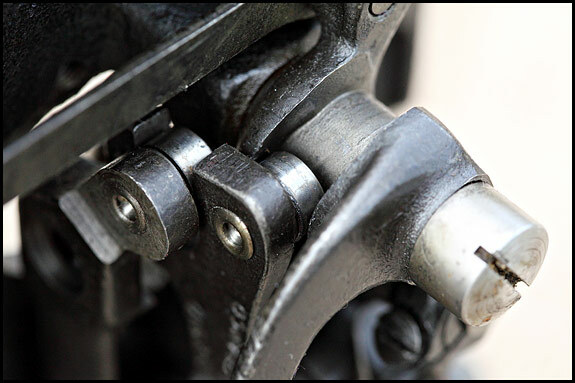 The quick way to tell them apart is that if both the stitch length adjuster knob and the lever which raises the presser foot are plastic, it’s a horrible 275/285. 9. If the bed’s about 15 inches long, there’s no chromed plate under the spool pin on top of the machine and there’s no small plate with a model number on below the metal Singer badge, you have a 66. That’s the big sister of the 99. 10. 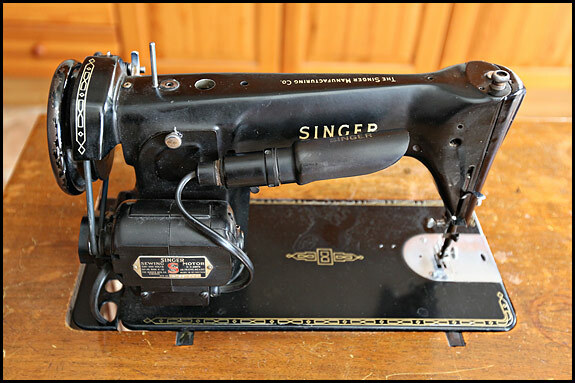 If the machine looks fairly modern, the top of it’s more or less flat, there’s no chromed metal plate with rounded ends under the spool pin but it still says “201K” under the Singer badge, it’s the later type 201 which is usually referred to as the Mk2. If you’re still scratching your head, odds on it’s a later machine or an industrial, or possibly a 19th Century one. Most of those will be outside our territory, but by all means send us an email at sidandelsie @ btinternet.com without those spaces if you’re stuck and we’ll see if we can help you solve the mystery. 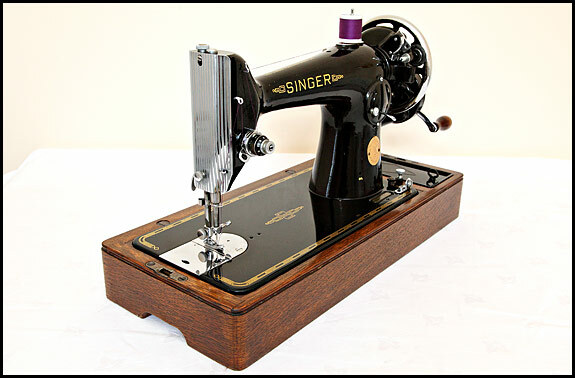 Earlier this year I packed a flask and sandwiches and ventured out into the wilds of East Kent, and one of the things I came back with was a Singer 201 in a treadle base. 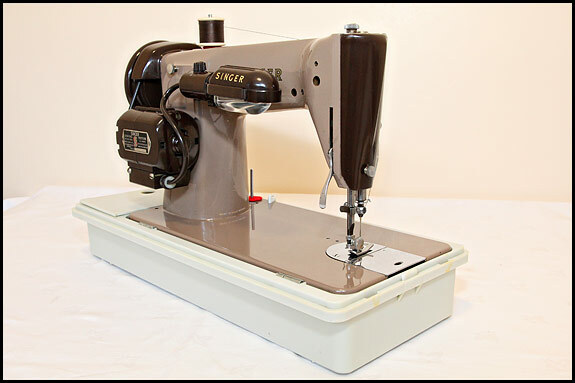 It moved in with us partly because it’s the later type 201 with the “modern” shape aluminium body and we didn’t have one of those, but mainly because of the treadle base, about which more some other time. 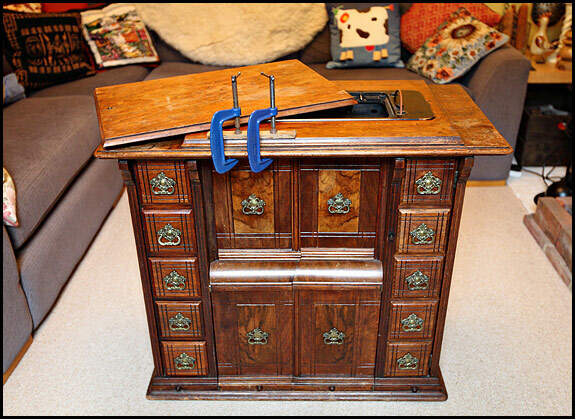 Like the old girl I bought it off, it looked a bit scruffy and smelled of fag smoke but seemed in good working order. In fact the only thing actually wrong with it was that at some point in its life, the spool pin had gone missing. Now the spool pin on a 201 Mk2 doesn’t go straight into a hole in the top of the machine like normal. Oh no. Instead, it screws into a hole in a solid steel bush 15mm diameter and about 10mm thick, which fits into a 15mm wide hole in the machine. And that assembly doesn’t just drop into the hole, it’s forced in under considerable pressure. It needs tools and some determination to get it out without damaging the machine. So obviously we needed a new bush, which is hardly your run-of-the-mill spare part because after all, why would you need one when it’s a forced fit in the top of the machine body so it’s not exactly likely to drop out? None of the usual sources could help, and because I wasn’t prepared to modify the machine, it was looking more and more like an expensive custom-made replacement bush- assuming I could find somebody to make one for me. But then once again the internets came to the rescue, this time in the form of a gentleman who’d read my wittering about the bush (I’m not one for beating about it) on one of the Yahoo discussion groups. He had too many 201 Mk2’s and was breaking some, so … here’s the elusive spool pin and bush, as kindly supplied by Mr Geoff Egan of Tenby Point, Victoria, Australia, who assures me that he did indeed enjoy the couple of beers he had on me yesterday.